Dogs are cute. Men can be too, depending on who you ask. But can a dog’s cuteness rub off on the man who stands beside him? This is what we wanted to know. 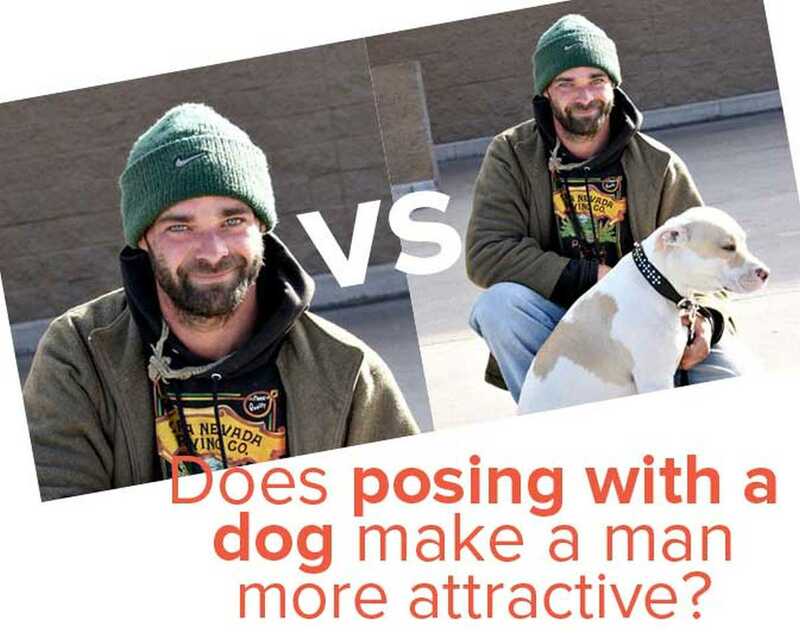 Which brings us to today’s photo battle: Man Alone vs. Man With Dog! 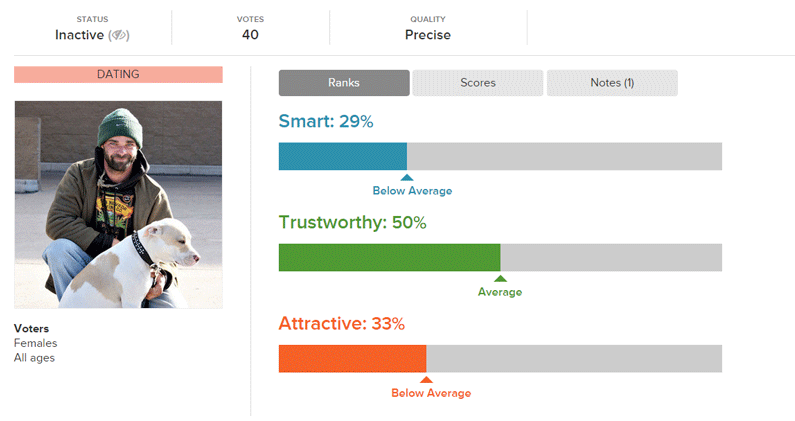 We started by choosing a stock photo of a man with a dog. We created a second version of the photo by cropping the dog out of view. 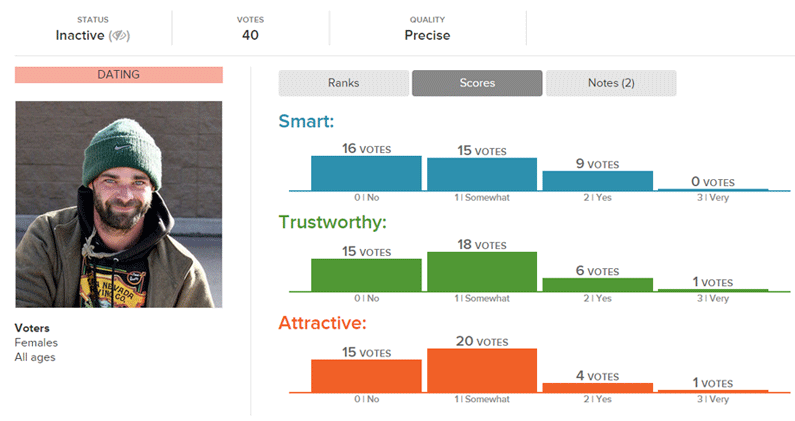 The test, which was run on Photofeeler, solicited 40 votes on each photo, including female feedback only. We tested them on separate days. 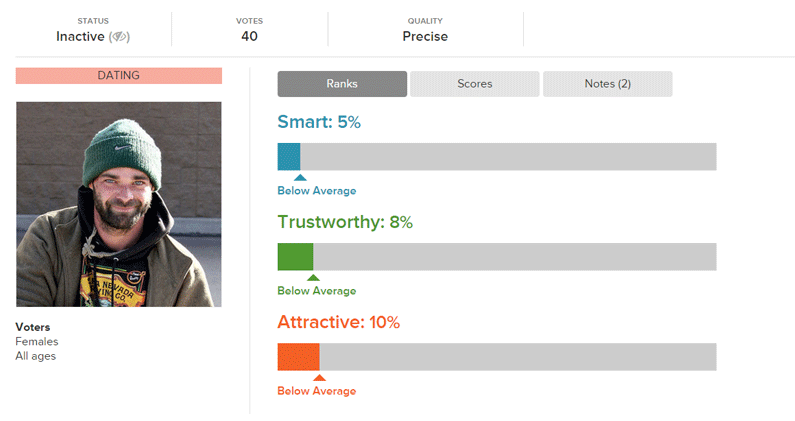 On Photofeeler, the photo showing the man alone got the following results. 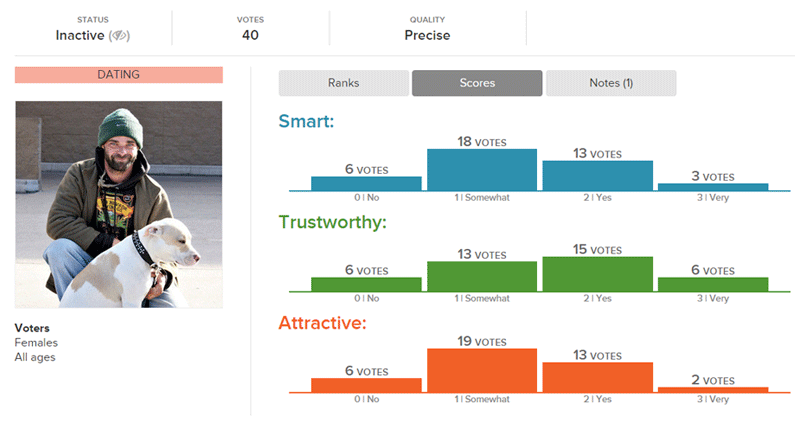 On Photofeeler, the photo showing the man and his dog got the following results. 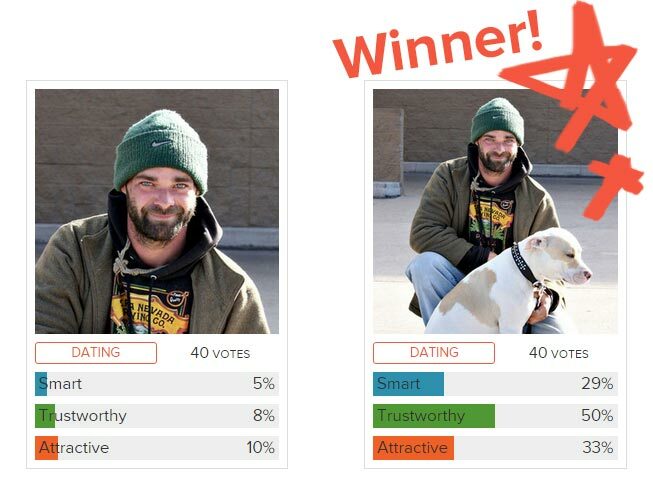 In conclusion, the photo with the dog included won out big-time! In every category, in fact.